#instagood, #l4l, #f4f, #photooftheday, #igers… what’s up with all these hashtags? Can we no longer enjoy simple photos on Instagram without a barrage of inexplicable hashtags on the side? If you’re annoyed with all these hashtags, I feel your pain. But you better face it: they’re not going away any time soon. The least you can do to ease your suffering is to learn what all these hashtags mean. And who knows, by using these medarately, you may even gain some exposure for you photos! This post is only about Instagram hashtags. If you’re here to learn about Twitter hashtags, read our Twitter hashtag guide for the #clueless #Clueless? Everything You Need To Know About Twitter Hashtags #Clueless? Everything You Need To Know About Twitter Hashtags Some people #use #them #for #every #freaking #word; others ignore them altogether. 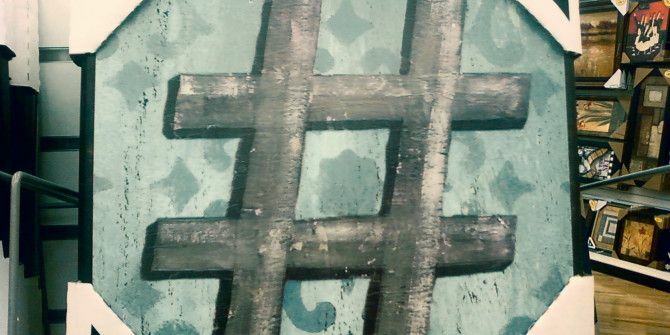 It might leave you wondering: what are hashtags even for? Am I using Twitter wrong if I don't use them? And are people... Read More . #instagood is a widely used hashtag which should be used only on your very best photos. In short, it should signify that the user who used it is especially proud of the the photo they used it on. In practice, people use it on almost any photo they take. Why? Well, the first and obvious reason is that people like every photo they take, so it must deserve the hashtag. 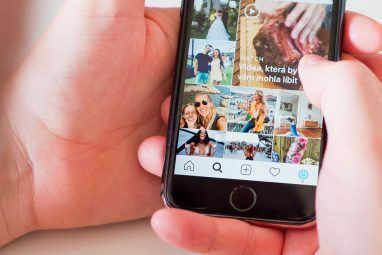 The second is that #instagood actually originated with an Instagram account — @instagood — which uses the hashtag to find good photos and feature them. The account now promotes a second account — @2instagood — and prompts users to use the new hashgtag: #2instagood. We’ll see how that works out. 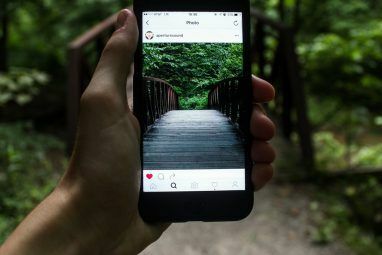 Very much like #instagood, #instamood is also connected to an Instagram account — @instamood — which features mainly photos of flowers, leaves and sunsets. You’re supposed to use the #instamood hashtag if the photo you’ve taken reflects your mood. In practice, all photos reflect some kind of mood, so #instamood can always be applicable, and is very widely used. Since the account is popular, so is the hashtag, and it could be a good way to get your photo noticed. While you may think this is a meaningless hashtag aimed at making an average photo look better, it actually has some meaning. @photooftheday is a pretty big account with over 250,000 followers. Its moderator goes out and picks one photo each day to feature on the account. The chosen photo must bear the #photooftheday hashtag, naturally, which accounts for the endless use of this hashtag on those copy-paste hashtags lists. The account itself is a nice idea, but the chosen photos of the day are pretty predictable and similar. This is one of the more obscure hashtags out there, and one I’ve been wondering about for a while. Turns out all #igers means is “instagrammers”. If you tag your photo with #igers, it means you’re an intsagrammer. It means you’re using Instagram. While you think that would go without saying when you post a photo to Instagram, it seems that it does bear mentioning to many users. There’s also an @igers account on Instagram, but it doesn’t seem to encourage users to tag their photos with #igers. Ah, good old Throwback Thursday. #tbt and #throwbackthursday are two of the most popular hashtags on Instagram, but what do they mean? Know how everyone is so crazy for nostalgia? Throwback Thursday is a great way (and excuse) to wallow in some old pictures. In short, you post a photo of yourself when you were younger, and tag it with #tbt or #throwbackthursday. That’s pretty much all there is to it. The main problem with this hashtag is that it’s sometimes used as part of those copy-paste hashtag lists, and the photos it’s used on have nothing to do with Throwback Thursday. In general, though, it can be a nice source of nostalgia. No one really knows how this hashtag originated, but it’s so immensely popular, it’s spawned a Flashback Friday sibling. It took some searching to track down what this hashtag means, but at the end I came upon @joshjohnson. Josh Johnson is a photographer that managed to spark quite an Instagram community around him. The #jj hashtag is just one in a long list of similar hashtags (e.g., #jj_forum, #jj_daily) which are used to enter all kinds of contests, and to simply become part of this community. There are several of these hashtags, and they’re all widely popular. In a nutshell, using them on a photo means you’re going to have to give a like back for any like you receive. Did 30 people like your photos? You’re going to have to like a photo by each and every one of those users. It’s tedious, but if you’re really desperate for likes, it’s one way to get them. A similar hashtag is #f4f, or #follow4follow, which means you will follow back anyone who follows you. 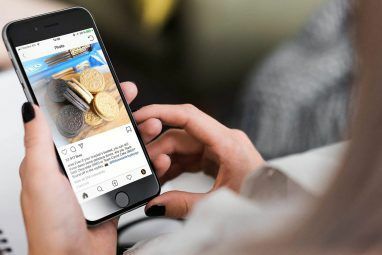 While Instagram wasn’t the first service to use hashtags, the fact that it lets you add up to 30 hashtags to every photo makes it one of the most hashtag-rich networks out there. The copy and paste habit of many Instagram users also helps the crazy proliferation of hashtags on Instagram. With that said, hashtags are a useful way to get more likes on your photos 5 Tried & True Tips For Winning At Instagram & Getting Tons Of Likes 5 Tried & True Tips For Winning At Instagram & Getting Tons Of Likes When it comes to getting noticed on Instagram, there are basic rules to follow as would be the case with any social network - post regularly, interact with users, include an interesting description with your... Read More , but as mentioned in our Instagram guide for newbies New To Instagram? Top Tips For Newbies New To Instagram? Top Tips For Newbies When you’re getting started on Instagram, there are a few tips and tricks to bear in mind to make sure that you hit the ground running. The popular app is part photo-sharing site and part... Read More , you should use them carefully. What other obscure hashtags can’t you understand? Share them in the comments, we may help you solve them! What about #iamtb ? I am guessing "I am the best", but is it something else? How about I am travel blogger? What is #iamtb ? I am guessing "I am the best", but is there another (or deeper) meaning to this? Help with #moodrn? Haven't been able to work that out. I do see "outfit of the day" in there, and it was a fashion blogger who used it. Can't believe you had trouble figuring out "igers". I'm from Mexico, english not my native language, 36yo, so I don't use all this crappy hashtags (actually, I don't use instagram), and "igers" was instantly obvious to me. Also, I think instawhores, #you #know #who #you #are, should be shot on sight. I'm 30 and from the US and had not a single clue what #igers meant. If it were something like #igmrs, I would have figured it out as it's more intuitive and natural. As it stands now, I was more inclined to believe it was pronounced like "tigers/ttigers". As for the meaning of that, I hadn't the faintest clue. Much like the reasoning for someone to feel the need to point out they're an "instagrammer" when they're obviously using the service. It just sounds like "tigers" without the "t". Makes no sense in English. It's seriously annoying when someone barfs the "follow4follow" and "like4like" tags on all their photos and then never comes through on their promise... I'm always curious - do people who do this have these saved somewhere so they can copy and paste them, or do they really spend the time to tap out dozens of garbage hashtags every time they post a photo?